origin population. These festivities are a wonderful opportunity for singles and couples who enjoy the inter-racial experience. The international atmosphere encourages a relaxed approach toward interracial dating in Australia. There are restaurants, nightclubs and entertainment venues perfect for that romantic interlude, as well as cultural activities. Visitors of every race are well-received, but the perception is a little different when one of the persons involved in an interracial relationship is an Australian. Sidney is the most progressive city in Australia. This is demonstrated in the arts, its architecture and its academic achievements. As a visitor, you can backpack on the beach or go to an opera house. You’re welcome, no matter your life style. 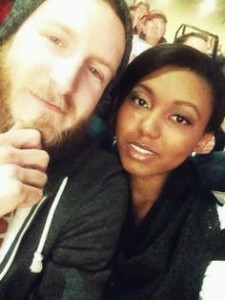 Scratch the surface however, and you will find subtle forms of racism if you’ve chosen an interracial partner. Overt racism in the form of violence is extremely rare, but you will notice a difference in treatment, particularly in public places such as bus depots, the metro and train stations. You might not get the same quality of service you are used to in restaurants. You might be snubbed or spoken to rudely. Your Australian partner may feel hesitant about introducing you to the family, or avoid certain friends. Like the rest of Australia, Sydney has a race problem that is directly related to Colonial traditions. Until the 1970’s, when reform laws created wider acceptance of race equality, there were very few interracial marriages. Today, the society has become more integrated, with a strong youth population supporting interracial marriages, but traditional values still cling to many of the older generation. Most Sydney residents don’t feel they are racist; only awkward. Sydney people speak bluntly, which they don’t consider rude. If they tell a racial joke, it’s because they thought it sounded funny and believe everyone else will consider it funny as well. They’re unsure of what constitutes boundaries, and don’t like groping for politically correct words and expressions. Nor are they sure of what would be considered polite questions to ask and what would be taboo. Most Sydney residents are open to the changing world where interracial dating in Australia will become the norm. They welcome the challenge of new perspectives, new commitments and can’t think of any more romantic place to develop them than in Sydney. If you are looking for a bit of fun or even a serious relationship then why not try the odds and look for someone compatible who lives in your neighborhood? This entry was posted in Dating Tips on April 28, 2016 by admin.